A press launch of Philippine Association of National Advertisers (PANA) was held at Hard Rock Cafe in Glorietta 4 on May 27, 2010. As the Philippine representative to the Cannes Lions International Advertising Festival, Pepito Olarte, Group Sales Director of the Inquirer Group of Companies, organized the Philippine contingent to the annual festival. In 2005, the Inquirer Group of Companies approached the Association of Accredited Advertising Agencies (4As-P), for the chance to take part in the Young Lions, a creative competition between tandem–teams, aged 28 or younger, featuring the best young advertising people all over the world. Then 4As had previously launched Camp Creatives in 2003, initiated by then Creative Guild President Lilit Reyes, currently DDB Philippines Executive Creative Director. Prior to the Young Lions, the Creative Guild had already sent Philippine representatives to compete in the annual ADFEST Lotus held in Pattaya, Thailand. Just as the Inquirer Group approached the 4As in 2004, this year the company tapped the Philippine Association of National Advertisers (PANA) to present the first Philippine representatives to the Cannes Lions Young Lions Marketers competition. PANA created the PANA Brand Camp, a two-day intensive seminar and training program held from April 29 to May 1, to fulfill its search of the first Philippine Young Marketers, who must be 30 years old or younger. Since sending its first delegation to the Cannes Lions International Festival, the Creative Guild Young Kidlat has consistently fielded Young Lions creatives for competition. Aside from the addition of the Young Lions Marketers this year, the Cannes Lions has invited two Philippine teams to compete in the Young Lions creative competition. The Creative Guild sent two teams to compete in Young Lions Film, and Young Lions Cyber categories. The 4As Creative Guild, with the generous support of the Ayala Foundation, sent this year’s young aspirants to the 57th Cannes Lions, namely, Niño Gupana and John Paul Cuison from Leo Burnett Manila for Young Lions Film, and Timothy Villela and Rizza Delle Garcia from BBDO Guerrero/Proximity Philippines for Young Lions Cyber. The Philippine Association of National Advertisers (PANA) sent Dave Buenviaje and Mary Loise Marasigan of Bayan Communications for Young Lions Marketers. Leo Burnett Manila’s John Paul Cuison competed for the second time, having been part of the first Philippine Young Lions in 2006. In 2007, the Philippine Young Lions Carmela Valeria Advincula and Mignon Wilhelmina Tobias of Leo Burnett Manila won Silver. In this international integrated communications competition, the Philippines has consistently sent creative work for competition. In 2008, JWT Manila won Gold in Radio for “Lotus Spa," marking a major victory for the country through Dave Ferrer, JWT Manila Executive Creative Director, and the duo of Brandie Tan and Tin Sanchez, currently BBDO Guerrero/Proximity Philippines Joint Executive Creative Directors. 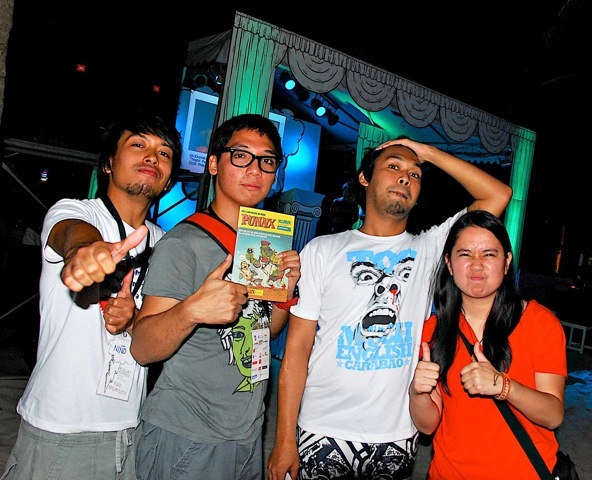 Brandie Tan and Tin Sanchez were the Philippine AdDFEST Young Guns in 2005. Raoul Panes, Executive Creative Director of Leo Burnett Manila is a member of this year’s Cannes Lions Radio Jury. Previous Philippine jury members include David Guerrero-BBDO Guerrero CEO and Chief Creative Officer, Leigh Reyes-Lowe Inc. Executive Creative Director, and Dave Ferrer-JWT Manila Executive Creative Director. Visit www.kidlatawards.com, www.pana.com.ph and www.canneslions.com for further details.